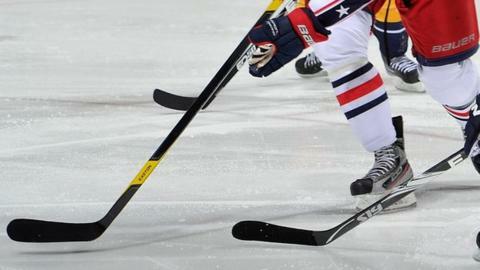 Ice hockey has seen plenty of change this summer, but the four Scottish teams will be out again to try and be the top dog north of the border. The creation of the Conferences sees Braehead Clan, Dundee Stars, Edinburgh Capitals and Fife Flyers all lumped in with Hull Stingrays for the Northern, or Gardiner Conference. More Scottish derbies are coming and on the back of a weekend that saw Fife Flyers win the pre-season Autumn Cup against their Scots rivals, a mouth-watering season is ahead. Another summer and another coaching change saw Jordan Krestanovich replace Drew Bannister this summer but, unlike last year, the transition has been seamless. Last season's top scorer Jade Galbraith is back and has been added to with ex-Coventry Blaze Robert Farmer, former Fife Flyer Garrett Zemlak and Ash Goldie, among others. With their bigger budget, the Purple Army are heavy favourites for the Conference and, in some quarters, the Elite League. Krestanovich however is preferring to look ahead to the games themselves rather than what's being said about his team. He said: "It is what it is and people can say what they want. My job is to put a team together and I think we've got some really good players going forward. "That's our goal to win silverware of course, but the bottom line is we have to put the work in. It's obvious, but it's true. What you say and what you do are two different things." It's been all change at the Tayside club following coach Brent Hughes' departure due to family reasons. Replacement Jeff Hutchins hasn't wasted any time in getting who he wants. The Stars finished eighth - and just inside the play-offs - last season and would look for something similar realistically from his team. Brennan Turner, Jarrett Konkle and Mark Kolanos have moved on, but the signings of Bill Bagron, Pat Bowen and former Braehead Clan forward Mike Wirll could improve them. Hutchins admits it's been a challenge since taking the reins, but can't wait to get his team on the ice and get the season started. He said: "Being on the phone and on the internet all the time to recruit new players has been challenging, but it's exciting now that the season is about to start. "It'll also be nice to be taken away from the actual recruitment side of things and focus on the games themselves. Overall, I think it's been a good summer for us." Missing out on the play-offs last season was disappointing for the Caps, who at New Year, looked good for it until a collapse in 2012 saw them tumble down the league. Edinburgh came on leaps and bounds and the emergence of Rene Jarolin and Marcis Zembergs were two highlights from an overall disappointing season. This year could be a struggle with masses of experience leaving in the form of Bari McKenzie, Jan Safar, Jozef Sladok and Tomas Valecko. Michal Dobron and former Caps hero Martin Cingel have come in to bolster that, but coach Richard Hartmann refuses to see his side written off so soon. He said: "We are written off quite a lot, but we are still working on the players we're bringing in and know what we want to do. "We're not finished building the team yet as we're still talking so it's too early to say these things. We're always looking to make the play-offs and we're looking to do that this year." Flyers underestimated the league and came in with too few imports last season, which effectively hindered their entire season. This time, Fife can have no excuses again. Coach Todd Dutiaume returned and set about building a more competitive outfit that will look to cement a play-off place this year and maybe even challenge for the Conference. Sunday's winning of the pre-season Autumn Cup, where they beat Braehead 7-3 in the final, will give them great confidence and fans can expect to see a much different Flyers outfit. Dutiaume though has been defending the decision to go with nine imported players rather than got with the full quota of 11 and insists the same mistakes won't be made this time. He said: "This club has always maintained it will work within its budget and will not get itself into financial difficulty, which is why we've gone with nine instead of 11. "Everyone knows we underestimated the league, but the big thing is the team was able to get organised right from the end of last season till this point and everything's on schedule."